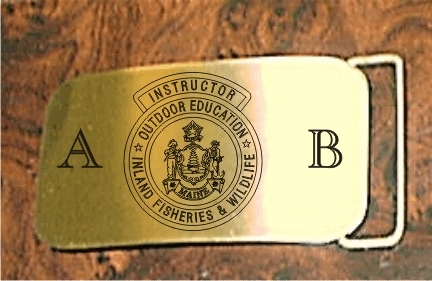 Solid Brass Belt Buckle with Engraved Registered Maine Guide Patch Fits 1 1/2 to 1 3/4 Belts. Ceramic Coffee Mug 11 oz. 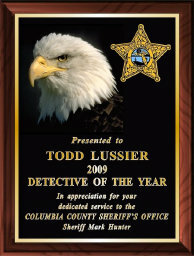 Custom Imprinted with Name. Full color full size license plate frame made of Space Age Fiberglass. Full color full size license plate frame made of Space Age Fiberglass. Verification of employment required. NAME TAG OR KEY RING Size 2 X 3 Custom Imprinted with Name and Instructor Type. Master Instructor is Master Outdoor Ed. Inst. NAME TAG OR KEY RING Size 2 X 3 Custom Imprinted with Name and Title. NAME TAG OR KEY RING Size 1 1/4 X 3 Custom Imprinted with Name and Registered Maine Guide or Master Maine Guide.